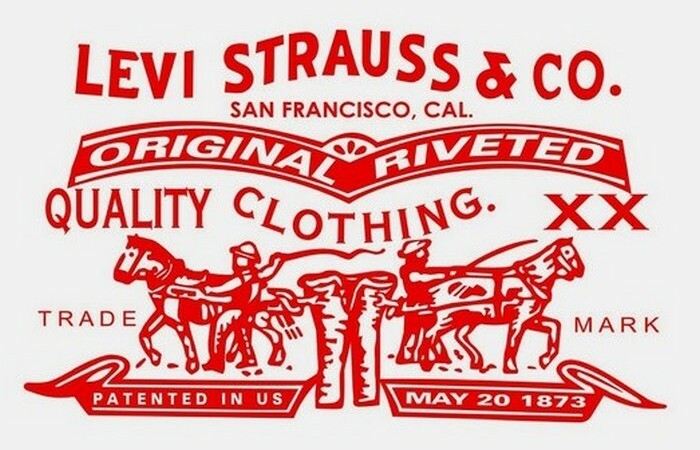 Levi Strauss & Co. began life in 1853 when the eponymous Bavarian emigrated to San Francisco, California, with the original intention to open a West Coast branch of his brother's dry goods store. However, one of Strauss' customers - a tailor named Jacob Davis - came to him with a business idea. Davis had noticed customers coming back time and time again with damage to the pockets and button-fly of their denim jeans. This gave him the idea of using copper rivets to reinforce the heavy fabric at the weak points. Unfortunately, Davis lacked the capital to put his idea into action, so approached Strauss - who owned the store from which Davis purchased denim material - with the idea of going in together on the venture. The new partners were granted a patent on the riveted jean design and the world's most iconic brand of denim jeans - Levi's - were born. Initially worn by West Coast working men, such as farmers, cowboys, and lumberjacks, denim jeans became fashionable in the 1950s-1980s among subcultures such as mods, rockers, greasers, and hippies. From these humble beginnings, denim jeans became more and more popular, until becoming the ubiquitous fashion items they are today. The wild west, and the rugged cowboy image on which Levi's built its name is long gone. And as times have changed the jeans manufacturer has changed along with them. Diversifying its product portfolio to include other types of clothing, as well as khaki brand, Dockers - plus Signature, and Denizen - represents just a portion of Levi's commitment to keeping up with a changing marketplace. "With our roots as a traditional wholesaler and brand, we did not really have direct-to-consumer interactions," said former Senior Vice-President and CIO at Levi Strauss & Co., Roland Paanakker. "With little retail of our own (though we had plans to expand our bricks-and-mortar presence) and no direct digital presence, we had a lot to do to position ourselves to engage directly with consumers. You have to be much more responsive and nimble to meet their needs. "A couple of years ago, we started to shift the entire organization toward operating in real time," Paanakker continued. "To get there, we're emphasizing the technology side of the house. We needed to shore up IT's relationship and credibility with business leaders by creating an IT structure that matches the business structure." Embracing digital technology is another way Levi's has kept itself up to date. Teaming up with Google, Levi's created the "Levi's Commuter Trucker Jacket with Jacquard by Google." This "smart-jacket" combines classic Levi's hard-wearing fashion design, with Google digital technology to create a garment which uses conductive Jacquard Thread woven in to link to a mobile device via Bluetooth. 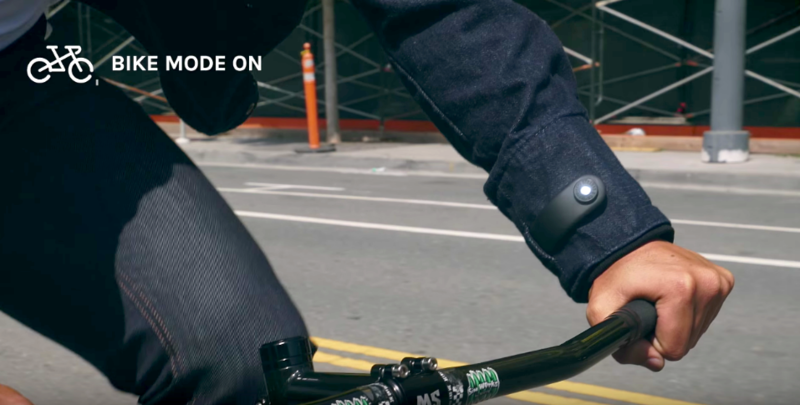 With a tap or brush of the cuff, the wearer can control music, screen phone calls, or get directions. "We wanted to make a garment, not a gadget," says Ivan Poupyrev, head of Google's Advanced Technology and Projects (ATAP). "And working with Levi's to create the manufacturing process for the jacket, I think we've come a long way toward achieving that goal." However, one of the most exciting developments coming from Levi's is in how digital technology - and specifically artificial intelligence (AI) - is being leveraged to create a fantastic ecommerce experience for its customers. Levi's virtual stylist program uses an AI chatbot which can assist customers with purchasing decisions - 24-hours a day. Designed with TrueFit technology, the virtual stylist helps customers find a pair of jeans which fit and look great - cutting down on dissatisfaction and returns. The AI incorporates the same training Levi's employees receive, and is programmed to ask questions, such as, "How do you like your jeans to fit through your hips and thighs? ", and considers factors such as leg shape, rise, and stretch, to give the best recommendations possible. The service is available online, on mobile, and even via Facebook Messenger (see video above), meaning Levi's customers always have access to professional advice - even when shopping on the internet. The last word goes to Marc Rose, Executive Vice President and President of Global Ecommerce at Levi Strauss & Co.
"We are on the leading edge of a challenge that all retail companies face today - how to create a seamless and personalized shopping experience for consumers, and new technologies like our Virtual Stylist are integral to that evolution at Levi Strauss & Co. No matter where the consumer chooses to shop, we want to give them a personalized experience that leverages our expertise in fit and style to address the biggest challenge of finding the pair of perfect-fitting jeans." Hear Levi Strauss & Co.'s Grant Barth, chief merchandising officer, at Etail West 2018 this coming February. Download the Etail West 2018 Agenda to learn more.